HaarWavelet defines a family of orthonormal wavelets. 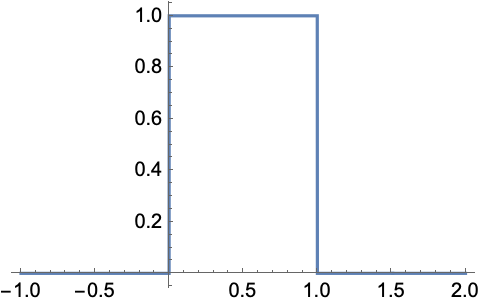 The scaling function ( ) and wavelet function ( ) have compact support lengths of 1. They have 1 vanishing moment and are symmetric. 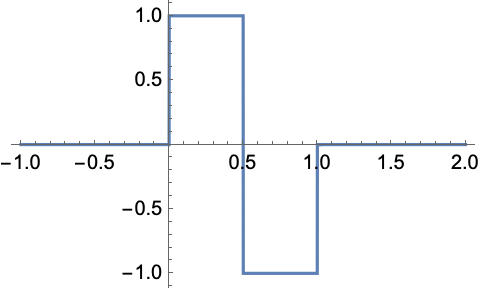 HaarWavelet can be used with such functions as DiscreteWaveletTransform, WaveletPhi, etc.